Custom functions: re-use existing algorithms already coded in C++, C, Fortran etc. to extend Mathcad capabilities. Global Definition Operator: assign values to variables and define constants and parameters that can be used anywhere in the worksheet; define parameters close to the end result. Numeric enhancements: use new fast matrix decomposition functions with support for pivoting and complex numbers. Surface interpolation in contour plots: create a contour plot of a set of unordered 3D points leveraging a PTC Creo® surface interpolation algorithm. Usability improvements: discover improvements to frequently used functionality (such as pasting images to headers and footers and overtyping equations) for increased efficiency. CAD integration: link design inputs and calculation results to PTC Creo®, to perform test analyses, optimise geometry parameters and perform verification and validation steps on final designs; manage Mathcad Prime 3.1 worksheets directly from PTC Windchill®. Adept Scientific (Letchworth, Herts.) announces the release of Mathcad® Prime™ 3.0, the latest version of the leading-edge engineering calculation software for problem-solving, analysing and sharing engineering design knowledge. Mathcad Prime 3.1 from PTC (Needham, Mass.) features significantly improved calculation capabilities to allow more complex equations to be solved, faster. Mathcad offers hundreds of mathematical functions, the unlimited ability for users to define their own, the capability to solve equations both numerically and symbolically, and the power to solve the most complex systems of equations. “We are pleased at how intuitively ideas are captured in PTC Mathcad Prime 3.1. Math is now represented in a way that is easy for the author to write – and easy for a reviewer to understand,” said Scot Shields, design engineer at Hagler Systems (Augusta, S. Carolina). “PTC Mathcad Prime 3.1 provides us with an environment where quick notes can be made, models can be built to test hypotheses and results can be verified. “As a result of a common tool that produces worksheets that can be easily used and understood by all levels in our organization – and for everything from documentation to sophisticated design studies, our engineers can now actually spend time engineering,” continued Shields. 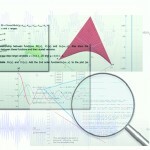 Mathcad Prime 3.1 is available now from Adept Scientific in the UK, Ireland, Germany, Denmark, Sweden and Norway. For editions and prices see www.adeptscience.com. www.adeptscience.com; or telephone +44 (0) 203 695 7810. PTC (Nasdaq: PMTC) enables manufacturers to achieve sustained product and service advantage. The company’s technology solutions transform the way products are created and serviced across the entire product lifecycle – from conception and design to sourcing and service. Founded in 1985, PTC employs over 6,000 professionals serving more than 27,000 businesses in rapidly-evolving, globally distributed manufacturing industries worldwide. More information at www.ptc.com. It’s here! We’ve been getting pretty excited over the past few weeks as we learned more and more about what the latest version of Mathcad, Prime 3.1, would deliver – and now we can share that with you as the new version has been officially launched. Many of the new features of Prime 3.1 have been included in response to the demand from Mathcad users. A case in point is the inclusion of a Global Definitions Operator, a popular function in Mathcad 15 and earlier versions but until now unavailable in Mathcad Prime. Although Prime 2.0 featured a Definitions Operator that let you assign a value to a variable, that assignation wouldn’t apply to previous instances of that variable. Now in Prime 3.1 the value you assign can be applied to the defined variable throughout your worksheet, instantly. That will make life a whole lot easier for very many Mathcad users. There’s a lot more too. A significantly enhanced calculation engine allows more complex equations to be solved even more quickly, while faster matrix decomposition functions support pivoting and complex numbers. Live maths can now be incorporated right into your text, and you can now easily create standardized templates for your worksheets. You can even reuse existing algorithms that have already been coded in C, C++, Fortran etc. You can read about these and all the other new and improved features of Mathcad Prime 3.1 here – there’s a great video there too! 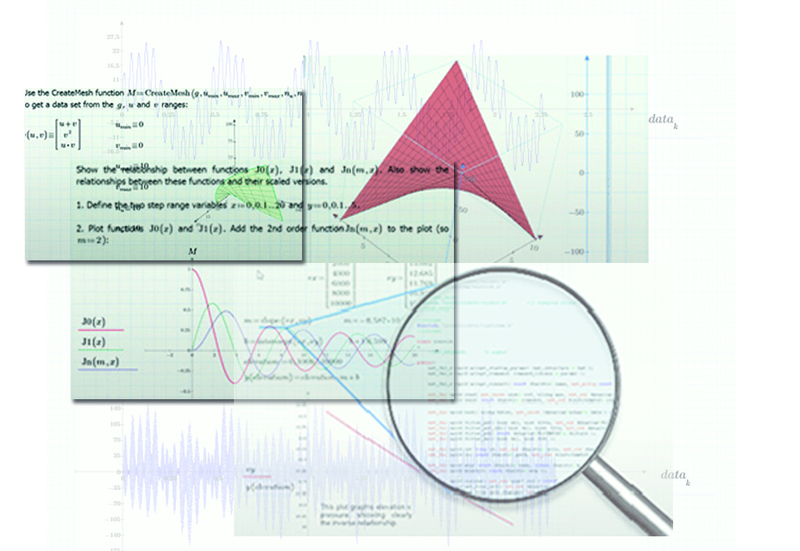 We believe that with this new version, Mathcad Prime has really come of age. Whether you’re entirely new to Mathcad or you’re using an older version, surely now is the time to start benefitting from the amazing usability, flexibility and extensive functionality that Prime 3.1 offers? Contact your local Adept office to find the most cost effective way of getting hold of the latest release. It’s here! We’ve been getting pretty excited over the past few weeks as we learned more and more about what the latest version of Mathcad, Prime 3.1, would deliver – and now we can share that with you as the new version has been officially launched. Many of the new features of Prime 3.1 have been included in response to the demand from Mathcad users. A case in point is the inclusion of a Global Definitions Operator, a popular function in Mathcad 15 and earlier versions but until now unavailable in Mathcad Prime. Although Prime 2.0 featured a Definitions Operator that let you assign a value to a variable, that assignation wouldn’t apply to previous instances of that variable. Now in Prime 3.1 the value you assign can be applied to the defined variable throughout your worksheet, instantly. That will make life a whole lot easier for very many Mathcad users. There’s a lot more too. A significantly enhanced calculation engine allows more complex equations to be solved even more quickly, while faster matrix decomposition functions support pivoting and complex numbers. Live maths can now be incorporated right into your text, and you can now easily create standardized templates for your worksheets. You can even reuse existing algorithms that have already been coded in C, C++, Fortran etc. You can read about these and all the other new and improved features of Mathcad Prime 3.1 here – there’s a great video there too! We believe that with this new version, Mathcad Prime has really come of age. Whether you’re entirely new to Mathcad or you’re using an older version, surely now is the time to start benefitting from the amazing usability, flexibility and extensive functionality that Prime 3.1 offers? Contact your local Adept office to find the most cost effective way of getting hold of the latest release.